Below is an explanation of some of the words which are used a lot in the Children’s Hearings System, but with which you may not be familiar. To find out more you can either scroll down the page or select a particular letter to read the explanations. If an explanation is not clear, please ask a Children’s Reporter or Social Worker for more information. If a child/young person or their parent/guardian disagrees with the decision made by the Children’s Hearing they can appeal against the decision. However, there has to be a reason in law for the basis of any appeal. If you do disagree with the decision of a Hearing, speak to a solicitor (lawyer) as soon as possible for further advice. If somebody wishes to appeal, a Sheriff will look at the decision made by the Hearing again to see if they agree with it. They may also call in witnesses who were at the Children’s Hearing. An appeal must be made within 21 days of the date of the Hearing. If you are not sure how to appeal, you should speak to the Children’s Reporter who wrote to you about your Hearing, or seek legal advice. Advocacy is the name given to the process of supporting children and young people to speak up, express their views and defend their rights. An advocate is the person who supports children and young people to express themselves for themselves – or if they prefer – to do that on their behalf, and make sure their voice is heard. A child or young person going to a Children’s Hearing and aged between 5 and 18 years old, can have an advocate to support them. To give permission or to allow something. This is a legal meeting (often just called a Hearing or a Panel), that children and young people are sometimes asked to go to with their families or carers if there are concerns about the child or young person. 1) Because they are in need of care and protection. 2) Because they have got into trouble with the police. This is the name given to the three Panel Members who are at every Hearing. The Panel Members make the decisions about what should be done to help the child or young person. Sometimes the words ‘Children’s Panel’ are used instead of ‘Hearing’, so you might hear the phrase ‘I’m going to the Children’s Panel’ which means the same as ‘I’m going to a Hearing’. This is the person (sometimes just called a Reporter) who decides whether or not a child or young person, who has been referred to SCRA, should attend a Hearing. This is an emergency measure which aims to protect children and young people who are at immediate risk of significant harm. The Child Protection Order is applied for by the Social Work department and is granted by a Sheriff. This means to follow an order, request or set of rules. This means something that is required, and in terms of the Children’s Hearings System, it means that something is required by law. A Compulsory Supervision Order is a legal document which means that the local authority is responsible for looking after and helping a child. It might say where the child must live or other conditions which must be followed. Time spent between a child or young person, and someone else, normally another member of their family. Decisions about contact may be made by a Children’s Hearing. This type of Hearing looks only at the contact between a child or young person, and another person in their life. Court (usually a Sheriff Court) is where legal matters/cases are dealt with. Most towns and cities have a Sheriff Court. Sometimes in the Children’s Hearings System, you have to go to Court if the statement of grounds are not accepted or there is an appeal against a decision made at a Children’s Hearing. A Pre Hearing Panel can decide that someone should be treated as a Relevant Person because they have or recently have had, significant involvement in a child or young person’s upbringing. This is called “deeming” someone to be a Relevant Person. Someone with deemed Relevant Person status can have this reviewed at a later date if they no longer have significant involvement with the child or young person. This means that the Panel Members are unable to make a decision about the future of the child or young person on the day of the Hearing. This may be because they would like some more information about the child or young person before they make a decision, so the Hearing is stopped (deferred) to wait for that information and it will be re-arranged for another day. A way of offering children and young people a safe, secure and nurturing place to stay while their family is unable to care for them. Fostering can be a temporary arrangement – on either a short or long term basis – and many children and young people in foster care will return to their birth family. Children and young people who cannot return home but still want to stay in touch with their families often live in long-term foster care and have continued support from their local authority or health and social care trust. A person who looks after a child or young person, but who is not their parent or relative. An Interim Compulsory Supervision Order (ICSO) is a temporary order that the Panel Members can make if they are unable to make a final decision but have concerns about a child or young person. It might say where the child or young person must live or contain other conditions which must be followed. This only lasts for a short time before needing to be renewed. People who care for children and young people when their natural parents are unable to do so are called Kinship Carers. They are very often family members like grandparents, aunts and uncles, cousins and siblings, but can also be close family friends. A lawyer (also known as a solicitor) is legally trained and can offer legal advice and assistance to young people and/or their parents or carers and speak for them in Court or Children’s Hearings. This is when the government pays for help from a lawyer (a solicitor). This can be for advice about going to a Children’s Hearing, or to accompany a child or young person to a Hearing, or to Court to represent them. There is more information about Legal Aid and when you can get it at www.slab.org.uk. Or you can ring them on 0131 226 7061. A solicitor (also known as a lawyer) who is trained to offer legal advice and assistance to children, young people, or their parents or carers, and represent them in a Children’s Hearing or at court. Each area in Scotland is run by a council, there are 32 in Scotland and these areas are known as Local Authorities. Social workers and teachers work for the Local Authority. The most common example is where the Hearing order that a child’s address or whereabouts is not to be disclosed a relevant person. Other examples might relate to the non-disclosure of medical or other sensitive information. Non-disclosure options are available at different times to the Reporter, to the Children’s Hearing and to the court. If information is to be withheld it will not be included in letters or reports, or shared with certain individuals. Where a Children’s Hearing has been arranged, a child, a relevant person or anyone else due to attend the Hearing can submit a request asking that certain information be withheld from the child or a relevant person. Panel Members are people from the local community who volunteer to sit on a Children’s Hearing. Panel Members come from a wide range of backgrounds, and will live or work in the Local Authority area in which they sit on Hearings. All Panel Members are given special training so that they can make decisions to help the children and young people who come to a Hearing. There are three Panel Members at every Hearing and one of them will lead or ‘chair’ the Hearing – this is known as the Panel Chair or Chair Person. This may be arranged when the Reporter decides to arrange a Children’s Hearing. Children and young people, as well as their parents or carers (if they are Relevant Persons) can attend Pre-Hearing Panels if they wish, but do not have to. A Pre-Hearing Panel takes place before a Hearing and three Panel Members meet to consider any special arrangements needed for the Hearing. They might talk about whether a young person is required to attend a Children’s Hearing; whether someone must be told about the Children’s Hearing because they are a Relevant Person, or whether someone should be treated as a Relevant Person because of their involvement in a child’s upbringing. After the Pre-Hearing Panel the Reporter will write to explain what has been decided. A child or young person can visit the Hearing Centre before the actual day of their Hearing. To arrange this contact the Reporter (whose name and telephone number are on the letter your child has been sent). They will be shown around the waiting rooms and Hearing rooms, find out about seating arrangements and who will be at the Hearing. They will have the opportunity to ask any questions they may have about what will happen on the day, and will be given a pack containing useful information. This is called a Pre-Hearing pack and contains leaflets and other information to help prepare for the Hearing. The purpose of the Act is to define and limit the time during which a person must reveal that they have a ‘criminal conviction’ especially when applying for a job. Children’s Hearings are not part of the criminal court system, but if offence grounds are accepted or established by a child or young person then they are classed as a “conviction” for the purposes of the Act. Such convictions may have to be revealed depending on the offence that has been committed, the decision of the hearing and the length of time a child or young person was on a Compulsory Supervision Order. It also depends on the situation – there are some jobs and situations where even old offences have to be disclosed. The rules are very complicated and if you have any questions you should speak to a lawyer. You can get free legal advice from the Scottish Child Law Centre or the Scottish Legal Aid Board. A referral is when information about a child or young person is sent to the Children’s Reporter, because they think that the child or young person needs help to sort out some of the problems in their life through support, care or protection. Generally, referrals are sent to the Children’s Reporter by the Social Work Department, Education Services (for example a nursery or school) or the Police, but anybody can refer a child or young person if they wish. This is someone who has the right to attend a Hearing and get information about it. 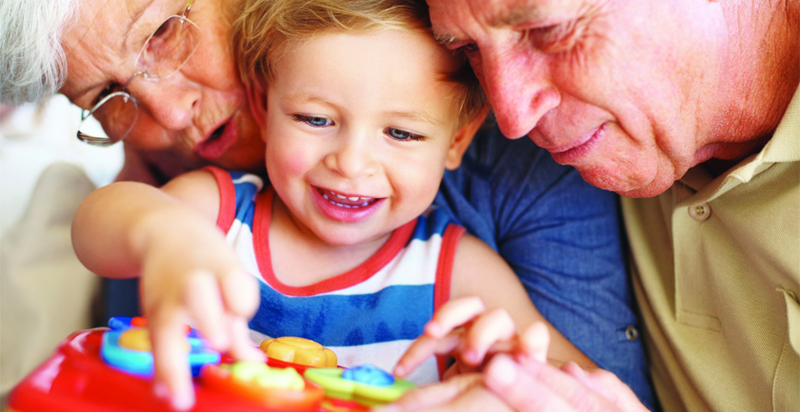 A Relevant Person can be the child or young person’s parent, grandparent, carer, guardian or the person who looks after them, but they must be deemed to be relevant by a Children’s Hearing if they are not the child or young person’s biological or adoptive mother or father. If the child or young person or their family do not agree with, or accept or understand, the reasons why they have been asked to go to a Hearing (the statement of grounds), or if the child is too young to understand, the Children’s Hearing may remit (refer) the case to a Sheriff Court for a Sheriff to decide. The Sheriff may need to hear evidence from witnesses to help them make their decision. This is the person (also known as the Children’s Reporter) who decides whether or not a child or young person who has been referred to SCRA, should attend a Hearing. Sometimes a child or young person may need to go and live in a safe place somewhere else if they cannot live with their own family. If a child or young person is sent to a Children’s Unit or Children’s Home, this is called being in Residential Care. Sometimes if the people at a Hearing have very different views to each other, or the Panel Members feel they need more information to allow them time to make a decision, they will appoint a Safeguarder. A Safeguarder is separate from the Social Worker, Children’s Reporter and the Panel Members and would speak to everyone involved especially the child or young person. They will write a report for the Panel Members and attend the next Hearing or Court. The Scottish Legal Aid Board decides whether people should get Legal Aid – this is when the government pays for help from a lawyer (a solicitor). This can be for advice about going to a Hearing, or to accompany you to a Hearing or Court to represent you. There is more information about Legal Aid and when you can get it at www.slab.org.uk. The Scottish Children’s Reporter Administration (SCRA) is the organisation which administers Children’s Hearings. Children’s Reporters work for SCRA. This is a place that keeps a young person safe and secure when there are very serious concerns about their welfare (see Secure Authorisation below). The young could hurt themselves or someone else. A Sheriff is a legally trained person in charge of the Court. Their job is to make sure that everything is done fairly and that Court rules are followed. The Sheriff will make the final decision about what should happen next with the statement of grounds and/or an appeal. This is someone who works for the Local Authority and who may visit children and young people and their families if they need support. If a social worker is concerned about a child or young person they can refer them to the Children’s Reporter. If a child or young person is placed on a Compulsory Supervision Order at a Children’s Hearing then a Social Worker must see them regularly to ensure that they are safe and well. A solicitor (also known as a lawyer) is a legally trained person who can offer legal advice and assistance to children, young people, or their parents or carers and represent them in Court or at a Children’s Hearing. If a Reporter is concerned about a child or young person for any of these reasons, they may decide to arrange a Children’s Hearing. They will draft a ‘statement of grounds’ outlining the reasons for the Children’s Hearing and the young person and parents or carers will receive a copy of these.